In the 1970s tropical hardwoods outsold temperate in the UK by a ratio of 4:1. The double-glazing industry in particular preferred to use easily obtainable and machine-friendly Shoreas (Dark Red Meranti/Lauan) from the Far East, whilst South America and Africa supplied virtually defect-free primary species to the joinery and reproduction furniture trades. The 1980s saw a fashion revolution as living accommodation became smaller, lighter colours became more popular and a quest for temperate hardwoods in kitchens became somewhat of a phenomenon. 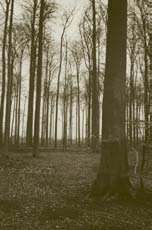 It was the American temperate hardwoods that captured most of this market as they could provide fully square-edged timber with which the Europeans could not compete due to their preference and even insistence on only supplying logs sawn through and through. The 1990s saw the attacks by the environmentalists on tropical hardwoods. Governments and multi-nationals ran scared due to their lack of knowledge of the timber industry and a fragmented trade was unable to respond quickly and positively to numerous accusations. The 21st century witnessed many European hardwood sawmills coming to terms with producing square-edged lumber and quality products started to appear particularly from Eastern Europe, which was later followed by the West. Consumers were now able to buy high-grade European hardwoods. In particular in the case of Oak a far more attractive grain and texture was available compared with that of North America stock. The versatile Beech was readily available and lent itself to the cheaper end of the trade where it can easily be worked and stained. People started to roll back the carpets and look to replace them with solid hardwood floors – a trend that is likely to stay, provided cheaper alternatives do not damage the reputation of the real thing!! In 2005, fashion again changed our purchasing requirements and American Black Walnut became the new fashionable timber – resulting in less interest in Cherry and Maple. European Oak continued to be the most sought after temperate hardwood as we witnessed many more barn conversions, restoration of old buildings and a healthy demand for character Oak. Yes, people actually want to buy wood with defects! We are now able to sell Pippy Oak at the same price as prime plank. Not so many years ago, character Oak was the least desirable product for any sawmill and only sold at rock bottom prices. What I would do if I was a grower in England today is: lobby Government for more support in the form of tax concessions in order to plan ahead for the long term; then I would put my faith in growing European Oak and American Black Walnut grown in the UK. I would not ignore the possibility of growing Yew, Sycamore and Ash. If I were to continue with Beech it would be on the realisation that market prices may never live up to my expectations. My only concern is, will there still be a British manufacturing trade existing when my logs were ready to harvest ? Do not worry, we will sell the raw material to China ! ! We won’t be selling the raw material to China – as long as Woodland Heritage and other like-minded organisations are successful in encouraging the training of local craftsmen. We believe in the philosophy of “locally grown and locally used”.